I started my first job out of UC Berkeley in July, 1989, working as a tech writer at Boeing on the B-2. Six companies and 14 years later, on February 23, 2003, I was hired full time at Wells Fargo to work in community affairs. Today is my 15th anniversary as an employee. That means that sometime in the last few months, I officially passed the point where I have been a Wells Fargo employee longer than I have not been a Wells Fargo employee since graduating college. 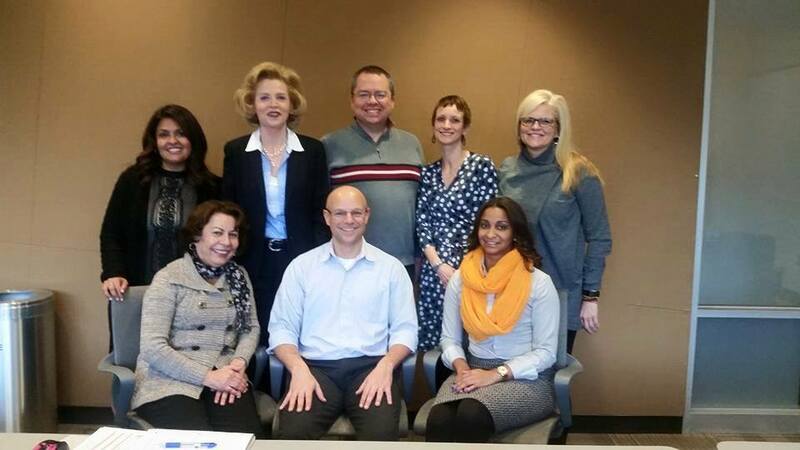 Five years after being hired, I was promoted to manage the team and then, along with dear friend Melissa Buchanan, I co-led the integration of Wachovia’s and Wells Fargo’s employee giving and volunteer programs. 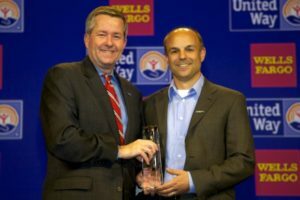 The next year, 2009, the employee giving campaign rose to United Way Worldwide’s #1 ranking in the US for the first time ever. This week, Wells Fargo announced that our workplace giving campaign was recognized as #1 in the US for the 9th year in a row… every year I’ve managed the group. Also, in 2017 our volunteer program recorded over 2 million hours for the first time ever. I’ve been privileged to work with an incredible team of wonderful people–each one brilliant, dedicated, hard working, high integrity, and overflowing with compassion. It’s hard to leave such a team of people I respect deeply and am proud to call my friends, but it’s time for me to “lose sight of the shore” to discover new oceans. I will enjoy an enduring pride for all I helped build at Wells Fargo, and I know I will take a wealth of knowledge and experience into whatever I build next. I go into a new, as yet uncharted, adventure with tremendous gratitude for all the wonderful people I have worked with the last 15 years, and all the opportunity and memories the company provided. Congratulations Peter and Team for such a impressive accomplishment! Outstanding! Thank you, Julaina and Vita! Congratulations, Peter! What a HUGE positive impact you and your team have made for others with your servant leadership! With every change new opportunities develop and while your journey may be uncharted at the moment, it is sure to be rewarding for you and others. If I can be of any help, please let me know.